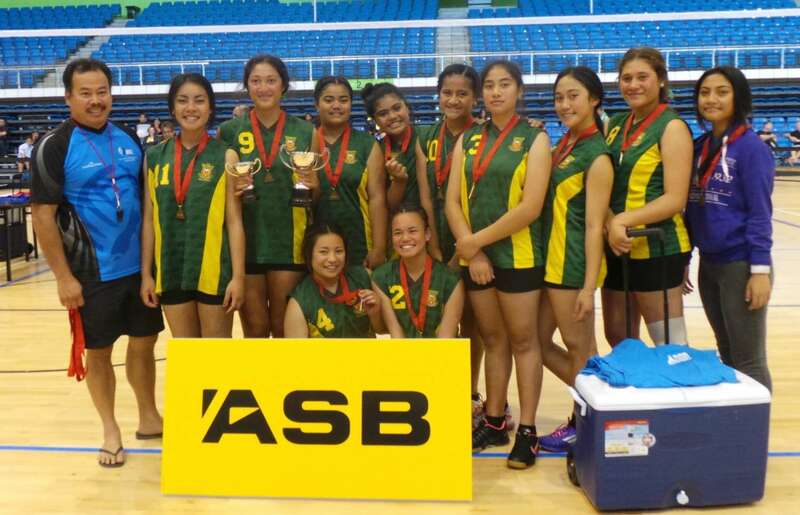 Manurewa High's girls team won gold at the Auckland Volleyball Champs held over the weekend. Our boys team played well too, and came 4th. A change in tack saw this year's volleyball teams mix players of differing abilities (rather than the stronger, more experienced players heading the A team). Head of Sport, Ms Melina Martene, believes the increased game time in two even zones teams that had to constantly work hard gave each player the added court experience and exposure to pressure situations. At the Auckland champs, Gail Taumafai was named Most Valuable Player. 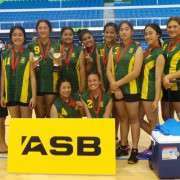 Josie Peteli and Zebalda Aiono were selected for the tournament team (top 12 players in the tournament) and Carnation Fahamokia was also chosen along with these girls for the Auckland team which will play at the upcoming inter province tournament. 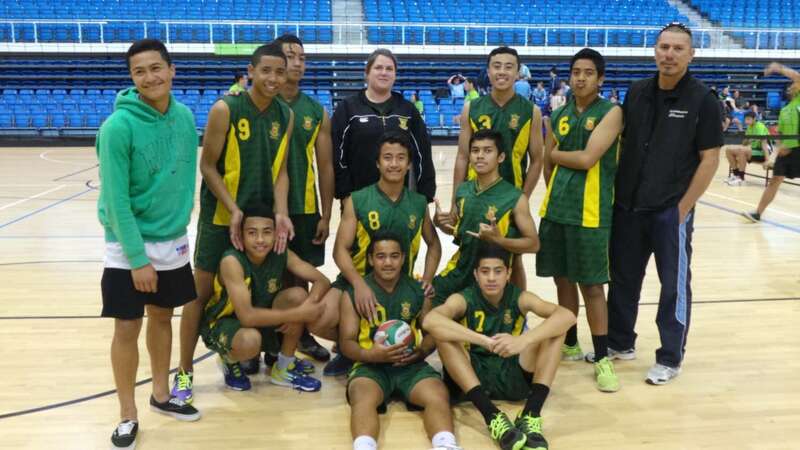 Uati Aso and Tala Potifara were chosen for the boys tournament team and Wanyae Suafo'a chosen for the Auckland team. However these boys along with Peter Leanna Nanai and Henry Ape have also been chosen for the Counties team so they have a decision to make! Nico Ngwun and Maggie Silva have coached this season and Ms Martene says "they have both done amazing jobs with the girls. This is by far the most consistent and balanced girls team we have had for quite some time and both Nico and Maggie's guidance and development will ensure the group continues to improve heading into the North Island champs. Special thanks to girls Coach Nico Ngwun for his continual support, time and efforts. Kevin Kelsall for coaching the boys, Mua Tuumaialu, Aukuso Taumafai and Pepa Ligaliga for their support, last but not least boys manager Miss Hunter." Both teams will train hard this week in preparation for next week's North Island champs, to be held in Tauranga from 25-29 November. Gail Taumafai - Captain, AKSS Tournament Team, Auckland Inter Provincial Team (AIPC Team) and Tournament MVP, Carnation Fahamokia, AIPC Team, Zebaldo Aiono, AKSS Tournament Team, AIPC Team, Vienna Kopelani, Evida Tofaeono, Emmanuelle Tekori, Mulan Roache, Josie Peteli AKSS Tournament Team, AIPC Team, Nia Ligaliga and Malia Aso. Uati Aso, AKSS Tournament Team and AIPC Team. Tala Potifara, AKSS Tournament Team and AIPC Team. Girls results from AKSS Champs. Final vs Otahuhu. Won 2 - 1. Boys results from AKSS Champs.